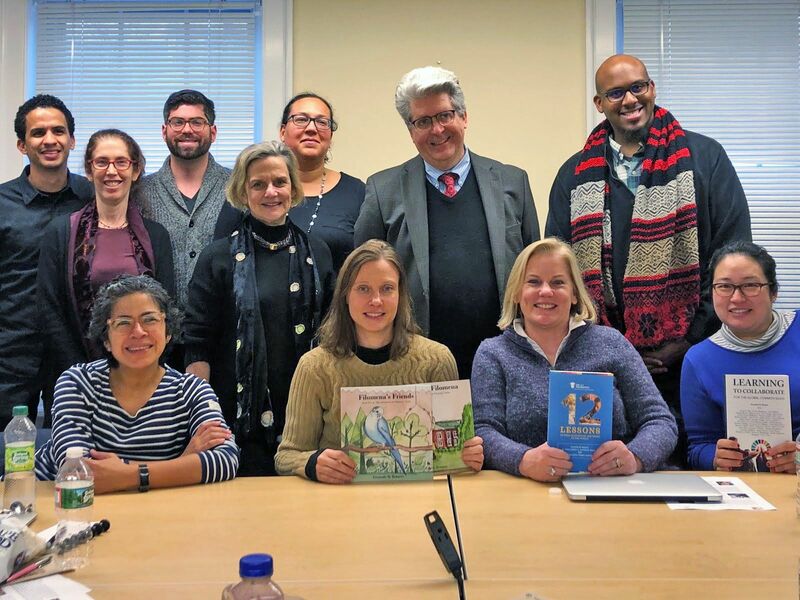 On Monday, November 26, Friends Seminary faculty from the Global Competencies Certificate Program (GCCP) visited Harvard and MIT to participate in discussions on fostering global citizenship. They began their day in discussion with Dr. Fernando Reimers, the Director of the Global Education Innovation Initiative (GEII) at Harvard University, Dr. Reimers focuses his research and teaching on innovative global education policies and programs that help students develop competencies necessary for civic participation and work in the twenty first century. He works also in the area of global citizenship education, how to align education policies with the achievement of the Sustainable Development Goals, and the role of social entrepreneurs in generating innovative education programs and scaling up change. Dr. Reimers was very interested in learning about Friends strategic two-year professional development program and has invited the group to consider future contributions to GEII. While in Boston, the GCCP cohort also visited the Harvard Creative Computing Lab to consider ways they might connect with the ScratchEd online community of educators from around the world on initiatives to promote global exchanges that foreground creativity, self-expression, and problem solving, across grades and subject areas. The day also included a visit to NuVu Studios, a school where students address large-scale global problems and through studio collaborations create solutions that have an impact in the world. The cohort ended their day with a workshop led by Eileen McGivney, a researcher on the EcoXPT team at Harvard’s Project Zero. The workshop, Fostering Global Citizenship with the use of Digital Tools, provided opportunities for Friends educators to explore how educational technologies are being used around the world and some of the best practices for integrating digital tools into teaching and learning that have the potential to not only augment traditional learning environments, but to transform or redefine what is possible in classrooms. Teachers had hands-on time to explore a range of digital resources and educational platforms designed to engage students in global citizenship education. To learn more about the School’s Global Competencies Certificate Program and its alignment with Friends Seminary’s Strategic Plan, contact Leitzel Schoen, Dean of Co-Curricular Programs.